The Papal Mass, being celebrated by Pope Benedict XVI is now underway at the Granaries in Floriana. Thousands of people are attending the Mass despite the poor weather. Hundreds of Gozitans left the island early this morning, some of whom were on the special trip being run by Gozo Channel. 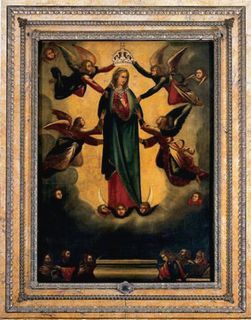 Earlier this morning the painting of Our Lady of Ta ‘Pinu, was carried in a procession to the Papal alter for the celebration of the Mass. A gilt silver rose is being presented by the Pope, which will then be displayed on the painting. Pope Benedict XVI is due to leave for Rome on his flight from Malta shortly after 2pm this afternoon.